An Interview With The Legendary Harold Poole. Harold has the exotic combination of genetics perfectly suited for bodybuilding. I was honored to speak with this living legend, a gracious and polite man. So sit back and enjoy the very long-awaited Harold Poole interview. Throughout bodybuilding&apos;s long and colorful history, there have been legends and there have been Legends. Harold Poole is a Legend. Born in Louisville, Kentucky, on Christmas Day, 1943, Harold would gift to the bodybuilding world a physique that, in the 1960s when he was at his very best, most closely presented the perfect balance of size, definition and proportion needed to become one of the greatest bodybuilders ever. With mixed German, African-American and American Indian ancestry, and thus the exotic combination of genetics perfectly suited to building the kind of muscle needed to win the big shows, Harold built a physique that was at once massive, defined and ideally balanced. Highly athletic from a young age, a 12-year-old Harold immediately became interested in football, wrestling, boxing and track upon entering his freshman year at Shortridge High school, Indianapolis. Demonstrating the predominance of white muscle fibers that would help him to pack on over 40 pounds of solid muscle in five years, Harold used his tremendous power and speed to run a 54-second quarter mile in his first year of training and, as a junior, to place second in the Indiana High School wrestling tournament at 175 well-conditioned pounds. His track coach, Roy Aberson, recommended the freshman Harold use weights to improve his sporting performance, a practice largely shunned in the late 1950s. But Harold displayed the merits of weight training, when at 18 years and five feet, ten inches and 200 pounds he had become an undefeated heavyweight wrestler in school and placed second in the Indiana State Heavyweight title in 1963 along with proving his explosive power by throwing a 12-pound shot, fifty-five inches. Showing the same degree of mastery and proficiency in building his body as he did his skill base as an athlete, Harold, after four years of lifting, decided to try his hand at bodybuilding. Naturally he excelled. Although Harold was introduced to weight training by his coach, he would be taught the finer points of bodybuilding, including posing, presentation and the technical aspects of training, from two friends with whom he remains close today, Loren Comstock and Dossie San Sing. From age 14, over five years - until he moved from Indianapolis to New Jersey - he and his two mentors would train religiously, three-days a-week without missing single workout. His dedication and discipline paid off and in 1960, at 16, Harold won the Junior Mr. Indianapolis and, amazingly, entered his first AAU Mr. America (the IFBB and WBBG versions he would win in 1964 and 67/68 respectively). As a teen, Harold, although possessing a physique far advanced compared to most bodybuilders even 10 years his senior, was still, as would be expected, reaching his full potential, but if his first year as a bodybuilder were any indication, he would soon be among the world&apos;s best. In 1961, and still competing regularly in athletics, Harold won five shows including Mr. Indianapolis and Junior Mr. America, and placed fourth in the AAU Mr. America. In 1962 he stepped it up to win the AAU North America, but it was in 1963, after shifting from the AAU to the IFBB, that he would begin making his biggest impact. Having arrived as a legitimate contender for the title of worlds best built man, Harold, in &apos;63 and &apos;64, won the IFBB Mr. Universe and Mr. America respectively, the latter title giving him recognition as the first African-American to win this prestigious honor. In 1965 a new bodybuilding era had emerged with the inception of what would become the biggest professional title in bodybuilding history, the Mr. Olympia, and Harold was rightly at the forefront. Indeed he was, in the eyes of many, the man to beat. History will show that Californian, Larry Scott, won that night as he would in 1966, but the debate still rages as to who should have truly won the second of these encounters. While Larry retired at the top of his game, Harold would continue competing and in &apos;67 again came ultra-close to winning the title. This time he was bested by Sergio Oliva, a man who become known as "The Myth", such was his dominance as a bodybuilder in the late &apos;60s through to the early &apos;70s. 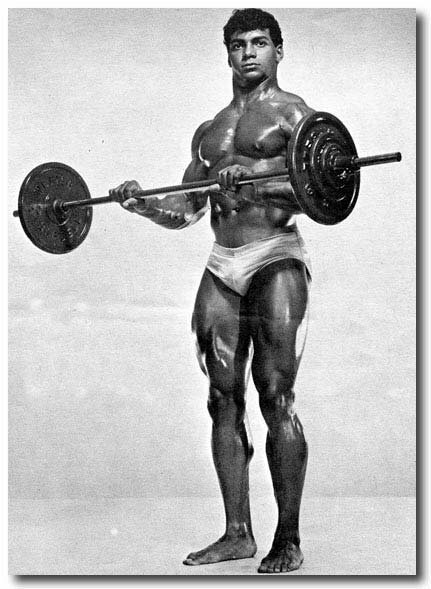 The Mr. Olympia, though, would allow Harold to set two more records, which would ultimately cement his place as one of the best ever: first man to have competed in this show three times consecutively and the youngest man ever, at 21, to have contested the event, the latter of which he holds to this day. 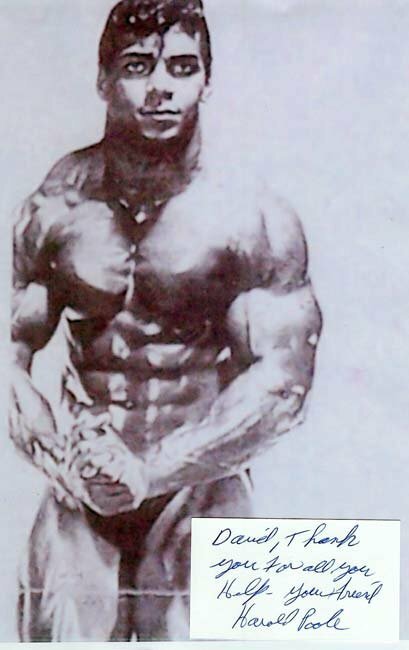 Harold is also famous for popularizing the most muscular pose and his posing in general was regarded as the most dynamic and graceful in all of bodybuilding. Since the 1960s, Harold&apos;s life has been as varied as his early athletic pursuits: professional wrestling, a return to professional bodybuilding in the late 1970s, and an 18-year career as an expert trainer and Tae Kwon Do instructor are among his standout achievements. Today he is still very muscular and his presence is both imposing and gentle. And he still weight trains with the devotion he showed as a youngster, half a century ago. I was honored to recently speak with this living legend, a gracious and polite man. So sit back and enjoy the very long-awaited Harold Poole interview. [ Q ] What have you been doing since you retired from bodybuilding competition Harold? I will tell you sir, since 1985 I have been employed as a trainer and I am also in the martial arts as a teacher. [ Q ] What style? Tae Kwon Do. I like all the martial arts though: Tai Chi, Jujitsu and Bruce Lee&apos;s style, Jeet Kune Do. I have a garage where I do all of my training; therefore I don&apos;t have to pay any rent. On average, I train my clients Mondays, Wednesdays and Fridays. [ Q ] How many years have you been involved in Tae Kwon Do? [ Q ] And what rank are you? I do not hold a black belt because if you hold a black belt and you hurt someone out on the street, they will put you in jail. I don&apos;t care about a white belt, green belt, black belt or whatever. What does it mean? The main thing, with society as it is today, is to be able to protect yourself and your family when you are out there. That is the main thing. [ Q ] Have you had to protect yourself using your martial arts skills? No because right now I am six feet and about 273 pounds. Quite imposing. I don&apos;t have any trouble out of anyone. [ Q ] I can imagine so. (Harold laughs) I will send you a recent photo of me and you will say, "Not only does he have long hair but he has a large waistline as well." (laughs). [ Q ] Do you still train for bodybuilding purposes? Yes. Next year in 2008, the IFBB will be holding a contest in New York called the Master&apos;s and in order to compete you have to be age sixty or over. [ Q ] What kind of shape are you in right now? Right now I am training with a combination of light weights and high reps because at my age (63) I don&apos;t want to use anything that is too heavy. I have been using this method for three years, since age 60. [ Q ] Did you have to switch training styles due to an injury? No. The only injury that I have is in the lower region of my spine. It is due to the fact that in my youth did very heavy squats, which eventually led to a weakening of this area. [ Q ] How is your nutrition these days? Right now I am on a high protein, low carbohydrate diet. I am not taking any supplements at all. [ Q ] And this includes steroids? I will tell you right now. In my youth I never took steroids and I never have and never will. [ Q ] Were you ever tempted to use steroids? No never, because steroids will help you to achieve what you are trying to do yet at the same time they have very detrimental side effects. I knew this from a young age. It was around the year 1963 when I was age 19. I was living in a place called Indianapolis, Indiana and I had a friend who had helped me with my training for about five years. He was much older than I. And I asked him about steroids and he reassured me that anything like that, years later would come back to haunt you in a negative manner. So therefore I have never taken any roids of any type. It is a proven fact that if you take them long enough your testicles will shrink and at the same time also lose the hair on your head. Also, it is proven that if taken long enough steroids will increase your chances of having a heart attack. They may also cause liver and kidney problems. Therefore I am quite sure that I made the right decision not to take roids. [ Q ] How do you explain the fact you were able to get so big and cut back in the 1960s despite never having used steroids? That is easy to explain. I began on the iron to get strong at the age of 12. I trained Monday, Wednesday and Friday three times a week and I never missed a workout and until the age of 19, when I won the Mr. Universe. It took eight years of hard work, three times a week. [ Q ] What style of training did you use back then? Through that time, Monday to Friday, I would work legs on Monday with upper body on Wednesday and on Friday legs again. The next Monday I would work the upper. At that time, at the age of 12, for every exercise that I did I would do five sets of 15 reps on everything. And at that time I loved to do squats. I used to do many squats because at that time most of the bodybuilders had no legs. And that is because they did not like squats. It&apos;s hard work. Take this guy who I met in New York in 1974. His name was Freddy Ortiz. He had huge arms and a huge chest and back but he had no legs because of the fact that he refused to do squats. And that was that. [ Q ] Did you train with Freddy? Yes we trained together at times. He was good, a very nice young man. His only problem was that at times I would see him take dianabol by the handful. I mean it was like crazy. He said to me, "It works." I said, "I know it works." It works, yet at the same time what are going to be the consequences five years from now? And that is how it was. [ Q ] Throughout your years of competing what did you learn about yourself as a bodybuilder? At an early age I came to realize that nothing comes easy. Anything that you want that is worth anything at all truly requires long sessions of hard work. [ Q ] And to this day you still want to get bigger and better? Say you have been on the iron for five years and just say you lay off for a year and a half. At any time you begin to exercise again, your strength and your size come back to you because muscles have memory. [ Q ] And your muscle memory is working fine. [ Q ] What gains have you made over the last three years since you switched to light training with higher reps? Right now I am training using extremely high reps, trying to get ripped up for next year because right now I am six feet tall and am weighing 273 pounds. 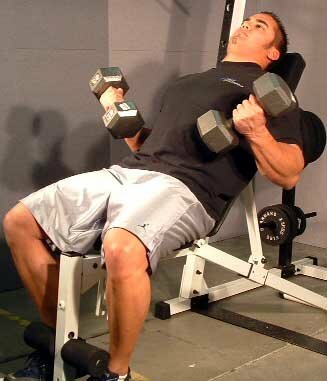 Therefore, right now I am using light weights and high reps to do this and it is working extremely well. [ Q ] How many reps would you typically do? Well right now I sit on the incline bench and take a 30-pound-dumbbell in each hand and do 40 reps for each set for biceps; this also applies to everything I do for my upper body. [ Q ] What about legs? Right now I am doing squats with my body weight only because of my lower back problem. [ Q ] Has your leg development suffered in any way since your injury? I can assure you that by this time next year I will have enough size and muscularity as well. [ Q ] What bodyweight will you compete at? When I compete next year I will probably be at 245 to 250 pounds bodyweight. [ Q ] Some say the 1970s were bodybuilding&apos;s true golden age. What was it like to compete in the 60s? In the 1960s as far as bodybuilding is concerned, I enjoyed that era very much because of the fact that I was on top. [ Q ] Both you and Larry Scott were on top. (Harold quickly responds) Okay Larry Scott. Here is what that was all about. In the first Olympia he deserved to win. In the second Olympia I truly had that contest won and I heard this from a friend of mine who was one of the judges. And I heard it five years later. He said: "Harold, at the second Olympia we took a vote and you had Larry Scott beat and then they took another vote and you lost by one half of a point." It was not good at all. Larry Scott told me after he won this contest that he was on Dianabol. Harold Poole & Larry Scott At The 1965 Olympia. [ Q ] Who was the judge? His name was Tom Minichiello. At that time he owned a health club in New York called Mid City Gym. [ Q ] You wouldn&apos;t attribute your placing at the second Olympia to any kind of foul play would you? Here is what I heard took place. At the second Olympia after the first round of judging I had the contest won. Then a promoter called Lud Schustrich, who was from England, went to all of the judges and told them he had Larry Scott under contract to give exhibitions in England and that he (Larry) had to win the contest. They all listened to him and took the judging again and I lost by one half of a point. I heard about this five years later from Tom Minichiello. At the time he told this to me I said to him: "how could you have allowed that to take place." He said, "Harold, you have to understand, I was only one judge." [ Q ] So, for the record, it was your second attempt at the Mr. Olympia that you feel you deserved to win. Yes I should have won the second Olympia. [ Q ] You came back after your second loss at the Olympia to be beaten by Sergio Oliva at the 1967 Mr. Olympia. How did you take this loss? The next year I competed in the Olympia again, where Sergio Oliva won it, and he deserved to win. Yet at the same time he was loaded up on roids. So what can you do? [ Q ] From the footage I have seen you looked great alongside Sergio despite not having taken steroids. And also at the same time had I of taken steroids then I may not be alive. Sergio deserved to win the third Olympia but, like I say, he was also taking a huge amount of roids. Allow me to assure you that no one gets to look like Sergio and Arnold and Ferrigno if they are not on steroids. That just won&apos;t take place. [ Q ] What were some of the popular training methods back in the 1960s? At that time I would do ten sets for 15 reps for each body part. [ Q ] Those seem to be high reps by today&apos;s standards. Right. I needed to do this, as I did not touch steroids. [ Q ] Just how common was steroid usage in the 1960s? Roids came along around 1964 and each and every one was on them. And that&apos;s how it was. One person would take them then another and so on. [ Q ] There were many who weren&apos;t on them though. Marvin Eder for instance. He was not on any roids at all; he was naturally just an extremely powerful man. [ Q ] So what explains the kind of progress both you and Marvin made? It was just a matter of how you wanted to work as to achieve your success. I wouldn&apos;t say that the guys who did take them did not work as hard. If you are training and at the same time taking a substance that is going to help you to grow then more than likely you are going to train even harder. 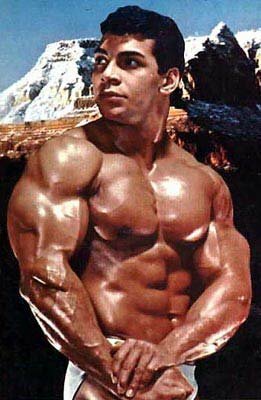 [ Q ] What were some common bodybuilding nutritional practices of the 1960s? At that time we were not as knowledgeable about nutrition as they are today. Then you would eat meat and potatoes and you would eat your eggs and drink your milk - anything that would help you to put on weight. [ Q ] Was it high protein and high fat back then? At that time it was a combination of high protein and high complex carbohydrates because it was all about trying to get huge. [ Q ] What did you do to get cut for competitions? I did a lot of running because I ran track in high school. Plus there was the fact that on every exercise, for each set, I would always hit at least 15 reps.
[ Q ] What has been the number one highlight of your bodybuilding career to date? That was at the age of 19 when I won the Mr. Universe. [ Q ] And why is this? You might say that after I had won the Universe I received a lot of offers to give exhibitions. 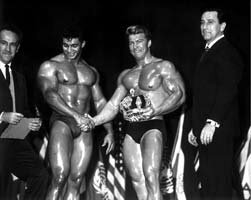 [ Q ] Why could you not win the AAU Mr. America despite being one of the best bodybuilders on the early 1960s? Allow me to say this. At the time I competed in the AAU it was a nightmare. At that time if you were not white, you did not win. And that is how it was. My father was German and my mother was black, so I am half white and half black. But in the AAU if you were not completely white you did not win and that was it. It was a nightmare. [ Q ] You were, though, the first African-American to win the IFBB Mr. America. That is right. In 1963 I won the Universe and in 1964 won the Mr. America in the IFBB. [ Q ] Your German and African-American ancestry is a pretty strong mix. As far as my skin texture was concerned I came out brown because of the fact my father was German and mother was black. But I took my hair from my father. It was great having that kind of heritage to build muscle with. It helped a lot (laughs). [ Q ] Why didn&apos;t you come back in 1968 to have another shot at winning the Mr. Olympia? From the year 1964 on, each and every one who was in competition was also on heavy steroids. And the fact is I knew that I could not win. [ Q ] In saying that you did make a comeback in the late seventies, early eighties. I came back in 1981 and the fact is I just wanted to see how I could do against the guys who were on steroids. [ Q ] What are your recollections of this 1981 contest, the IFBB Canada Pro Cup I believe? I had a nice time. See, here is the thing. In 1981 I knew that I could not win, but would see what I was able to do. And I placed ninth (at the IFBB Canada Pro Cup), then ninth (IFBB Grand Prix New England), then sixth (IFBB Night of Champions). After placing sixth at the Night of Champions, which was held in New York, I said, "I have had enough." And I walked away. [ Q ] You were happy with what you accomplished physique-wise for your final show? Yes, because I knew that each and every one who was in the show was on heavy, heavy roids. And I just said, "This is not for me." Then as the years passed on I saw that there were many who were getting ill from steroids. He&apos;s ill, he had a heart attack and he passed away. The thing is, here and now I just thank God that I made the decisions that I did. I am healthy and I have a head full of hair. It&apos;s a good thing. Each day I wake up I open my eyes and I thank God that I still have my health. I am 63 years old. [ Q ] And you are still training hard. [ Q ] You came so close to winning the Mr. Olympia yet were denied this important title? How did it feel? It was very painful and I was very angry but at that time in the mid-sixties they were having so many race problems. That&apos;s how it was. [ Q ] Did you ever experience racism within bodybuilding directly? In 1963 the AAU held the Mr. America in a place called York, Pennsylvania. Like all of the AAU shows, this contest was run by a man called Bob Hoffman. He was the head of the AAU. I was backstage with all the other competitors preparing for this contest when I heard Hoffman say to a man who was the head judge: "As long as I am head of the AAU, no one who is a black or a Jew or anyone of mixed blood or who is a Puerto-Rican, as long as I am alive, not any of them will ever win the AAU Mr. America." [ Q ] Yet Bob Hoffman was known for accepting all nationalities onto his York weightlifting team. One of his star athletes, and one of the greatest weightlifters of all time, was African-American John Davis. He could control bodybuilding but he could not control weightlifting because the winner of the weightlifting was decided upon by how much they could lift. But in bodybuilding it all depended upon the men who were judging the contests. And that is where he had the last word. He had control of the AAU Mr. America until he took his last breath. And I said it back then and I still say it now: I hope he burns in H*ll. [ Q ] He had that bad of an influence in your view? With anything that concerned the AAU Mr. America, Bob had control. If you were not white, you had as much chance of winning the Mr. America, as you would have a chance of finding a snowball in H*ll. [ Q ] Times have certainly changed. At this time and place in the IFBB, right now the judging seems to be honest. [ Q ] You competed in several federations, including both the IFBB and the WBBG. The judging standards for these federations were clearly different to those of the AAU. What was it like for you to finally break away from the AAU to compete in these other federations? As far as the IFBB is concerned I felt that the contests that I competed in were fair up until the second Olympia. At that time I got screwed again. 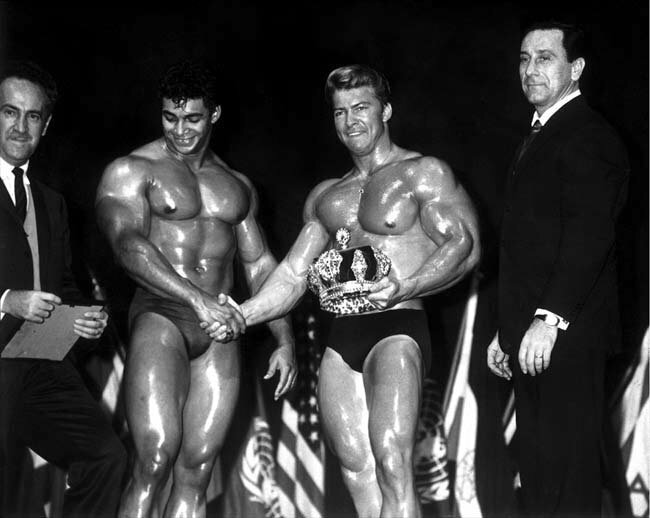 [ Q ] Following your third Mr. Olympia appearance you went straight on to compete in Dan Lurie&apos;s WBBG and won the Pro Mr. America in 1967, a win you would repeat in &apos;68. Why did you choose to compete in the WBBG? At that time all of the top bodybuilders were in the IFBB because of the fact that in the IFBB you could earn much more money. I decided to compete in the WBBG because the competition was not as strong. Here is the thing: for anyone who competed in the WBBG, Joe Weider would not allow them to compete in the IFBB. He had that control. [ Q ] Did you like competing in the WBBG? There is a thing about Dan Lurie. He did not control who would be the winner. [ Q ] A fairer approach? Yes. Dan Lurie is an honest man who is fair and always ran a good contest. So did Weider, but he just had a rule: if you competed in the WBBG you could not compete in the IFBB. And that was it. An Interview With Dan Lurie. In the following interview Dan tells his inspiring story and shares the methods that have helped him to stay in excellent physical shape at age 82. Get the scoop about Dan Lurie right here! [ Q ] It was reported that the audience response to your performance at the 1965 Mr. Olympia was the most vocal of any crowd up until that point. How did it feel to be so well received? I loved it. I had worked very hard and very long and at the same time it was a lot of years of sweat and dedication that went into the physique I presented that day. [ Q ] Given the Mr. Olympia has such a long history going into its 42nd year, being in the first ever of these events must be special to you. It was nice at the time. The only problem I had was at the second Olympia where I was ripped off. [ Q ] In saying that the first Olympia was an historical event. Was there a feeling amongst the athletes that it would someday be something big? Or was it just another show at that point? In the first three Olympia&apos;s for first place all you got was a trophy and one thousand dollars. In the year of 2007 first place is 155,000 dollars. There is a big difference. [ Q ] Did the athletes compete more for the love of competing back then given money was not such a big influence? Back at that time, usually for first place in a bodybuilding show all you received was a trophy and that was it. So in the beginning at the Olympia the bodybuilder was able to earn a little income, but today it is 100,000 dollars in some contests and you get to give exhibitions and you give seminars and you have t-shirts, pictures and posters for sale. And you travel all around the world and you may also get a contract where you will say, "I take this protein or I drink this health drink." Today if you are in the top ten you can earn a living. Back in the 1960s bodybuilding was a thing that you liked to do and enjoyed. And you hoped that if you took first place it would somehow help you to increase your income. [ Q ] Were there many opportunities for bodybuilders back then? At that time it had just begun. There were few opportunities. [ Q ] As a professional bodybuilder in the 1960s, would you be asked to help others with their training? [ Q ] What did you enjoy most about bodybuilding? I would have to say the publicity. Just the fact that I was in the magazines and the magazines were read throughout the whole world. [ Q ] Was getting bigger and stronger a motivator for you? Well it helped you to be popular with the females (laughs). That helped also. [ Q ] Given there were few bodybuilders back then you would have gotten quite a bit of attention. Yes sir (laughs). In the early 1960s, the females would always say, "How did you get like that." [ Q ] What were your main strengths as a competitor? I would have to say that I was the bodybuilder to make popular the most-muscular pose. [ Q ] Your posing in general is regarded by many as being some of the best ever seen. How much time did you spend on posing practice? I have to say that back at the time when I was a teenager in Indiana I had two friends, Loren Comstock and Dossie San Sing, who were older than I and who were also bodybuilders. They took the time to teach me how to pose. From the age of 14 to 19, the two of them taught me all about bodybuilding and how to pose. They were competitors themselves. The two of them became my friends when I was 14 and living in Indianapolis, Indiana, and they are still my friends today. [ Q ] What were some of the posing tips they gave you that helped you to become a great poser? The taught me how to flow from one pose to the other gracefully and at the same time showed me how to bring out my muscularity. [ Q ] In your signature pose, the most muscular, your trapezius muscles just popped out like crazy. Did you do anything specific to train these muscles? I did close-grip upright rows until they were coming out of my ears (laughs). [ Q ] You were very cut back in the 1960s, an era where bodybuilders typically were quite smooth. How were you able to get so ripped? That is true. I just did extremely high reps. At one time my friend Loren Comstock said to the owner of the gym that we worked out at, "Harold only has to look at the weights and he gets ripped up." [ Q ] These days bodybuilders get quite scientific when it comes to planing their nutrition. How did you plan your diet? In the late &apos;50s and early &apos;60s no one knew an awful lot about diet and nutrition. [ Q ] Trial and error. [ Q ] Was there ever such a thing as an off-season for you? No. The three of us trained all year around, year after year after year. We stayed in shape. [ Q ] And you simply entered a contest in the kind of shape you would maintain year-round. [ Q ] Times have changed. Yes, and now you not only have the drugs to increase your size you also have drugs to get ripped up. [ Q ] So back then it was a case having to stay in shape? [ Q ] Contrasting the 1960s to the early 1980s, where you competed for the last time, what were some of the major changes you had to make to stay competitive at this level? In the early 1980s you could no longer eat anything you wanted to eat (laughs). You had to have a high protein, low carbohydrate diet. You had to be very strict. It would be chicken and fish and salad and your yams and you did not eat any red meat at all. It was a big change. [ Q ] And you had to make these changes to stay competitive? Oh, I had to. And in the early 1960s we did not know anything about cardio but in 1981 I had to do cardio four-days-a-week. [ Q ] Cardio is also known to tap into muscle tissue. You looked a lot leaner in your 1980s photos compared to those taken in the 1960s. How did adding cardio to your program affect your physique? It is a whole new way of training completely and it had to be done at least four days a week. Had to be. And you do lose muscle size. I know I lost some size. [ Q ] And you would attribute this to all the cardio you had to do? Yes, and at the same time that very strict diet. [ Q ] In the 1960s bodybuilding seemed to be a completely different game. Were the competitors less intense back then? Today bodybuilders are prone to a thing called roid rage and it can get you in trouble with the law. [ Q ] You don&apos;t hear too many bodybuilders coming out a talking about this. There have been cases in the news. Sergio Oliva was a police officer and so was his wife. From what I hear he used to slap her around until she took her handgun and she shot him. That is crazy. [ Q ] Was "roid rage" ever seen in the 1960s? No, we didn&apos;t have a clue what roid rage was because it wasn&apos;t as widespread. And you have to remember that with steroids there is use and there is abuse and the bodybuilders of today abuse the roids. There is no way in H*ll that anyone is going to weigh 300lbs ripped. I tell you it is a bit crazy. [ Q ] In the 1960s you were classed as a very large bodybuilder, yet by today&apos;s standards the physique you presented then would be seen as small. Right, but I couldn&apos;t care less. [ Q ] When you last competed in the early &apos;80s you had changed your name to Damien Poole. Why the change? Well, in the 80s I felt I need a change so I changed my name to Damien then I changed it back to Harold (laughs). I was just going through a phase. [ Q ] How do you feel when you look back to your time on the Olympia stage and compare it with how the sport has evolved? You look at the world in 1963 and no one would have ever thought then of 9/11 in New York. It is getting worse day by day. You hear about terrorists here and terrorists there. They are everywhere. And allow me to assure you that it is going to get worse. That&apos;s just how it is my friend. [ Q ] In bodybuilding the physiques nowadays are more defined and the quality is just better overall. Would you not call this progress? They call it progress but I call it going downhill. But what can you do. That&apos;s how it is. [ Q ] What does the future hold for Harold Poole? Oh I am not concerned about that right now. I tell you right now the main thing I am trying to do is take time to read my Bible every day. About four years from now I hope to become a minister... a preacher. [ Q ] Sounds like you have a busy life ahead. Yes I have a lot of work to do. A lot of reading, studying, memorizing, comprehending and hopefully four years from now I can become a minister. And I am a true Christian and a child of Jehovah who is God. Yes sir.